Time for busy bag number two! I have a couple more coming too, so just bear with me. 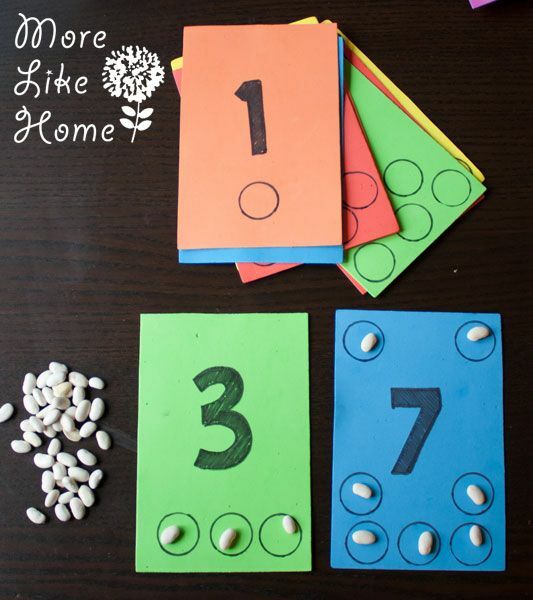 :) Today's bag is a bean counting game. Everything sounds more fun when you call it a game, right? This is another super easy one. I started with a pack of foam cards from the Dollar Tree. 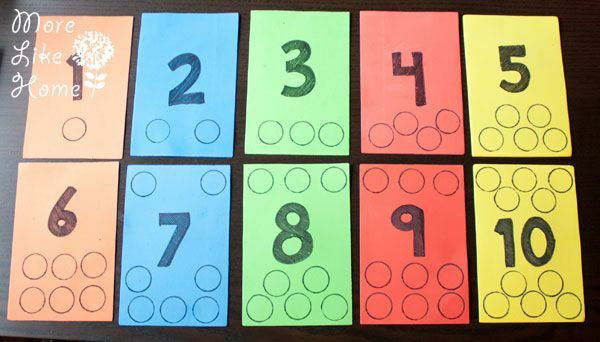 I used a sharpie to draw a number in the middle of each one, then traced a nickel to get the right number of circles. Then bag it all up with a pile of dry beans for a rainy day. 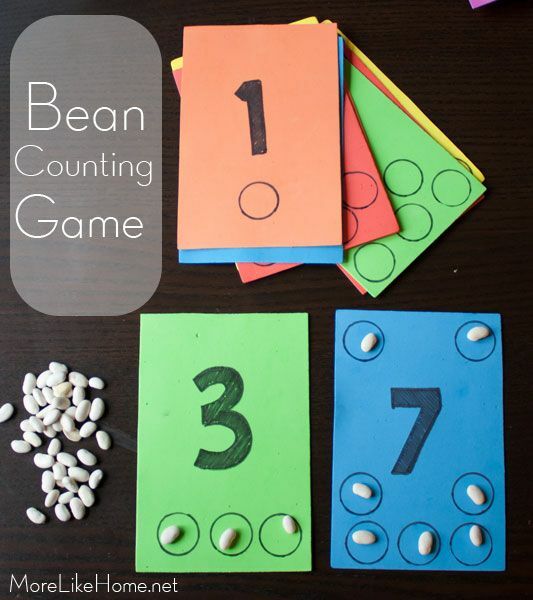 I've worked with B a little bit on the actual counting, but most of the time he's happy to just put beans in all the circles. And since I already had the beans in my pantry, the total cost of this project was just $1 for the foam cards! 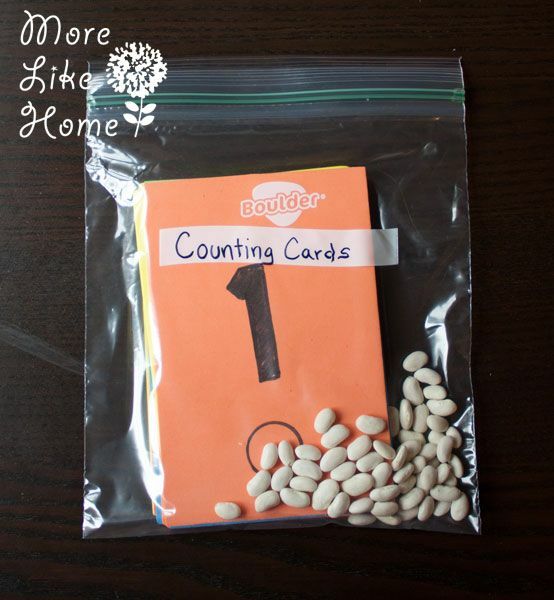 Do you have a favorite counting busy bag?